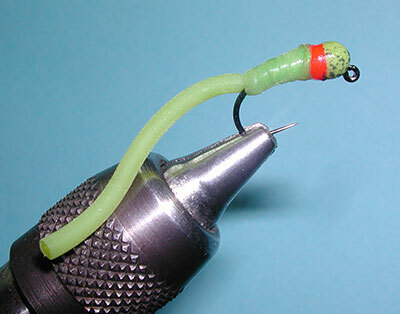 Notes: The Squirmy Wormy pattern is a variation of the San Juan Worm by Dave Hise of Hickory, North Carolina. 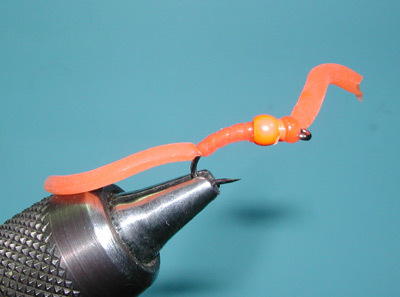 Dave used the silicon tendrils found on certain children's toys rather than Vernille or Ultra Chenille. The silicon material gave much better action to the pattern and would sinuate through the water column just like a live worm. The U.S.Youth Fly Fishing team used this pattern during the 2014 World Youth Fly Fishing Championship which they won and repeated their winning performance in Poland during 2015. 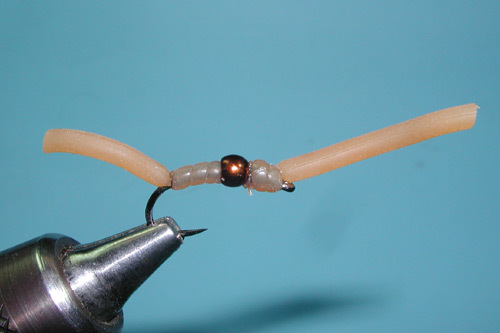 Some teams, like the Czech team, felt that this pattern was not a "true" fly pattern but should be considered a spinner lure due to the length and action of the tendrils. 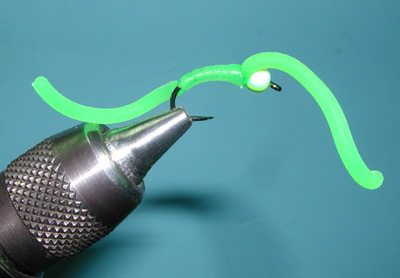 The Czechs decided to ban this pattern if the tendrils exceeded 1 cm. This restriction made the pattern look more like a...Czech Nymph. 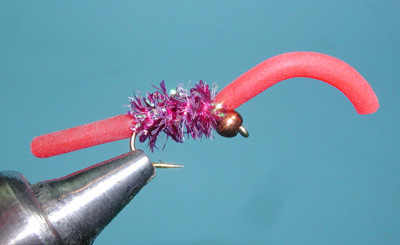 The tendrils are marketed to fly tiers as Squirmito and the material has been reengineered for better durability. However, it remains a material that can be cut quite easily by the thread. 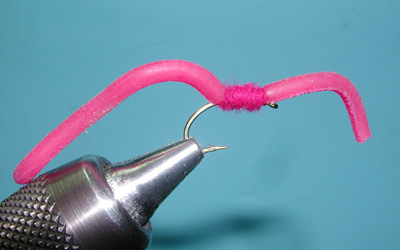 Try to select a flat thread such as Danville's Flat Nylon or or one that is greater than 140 denier. 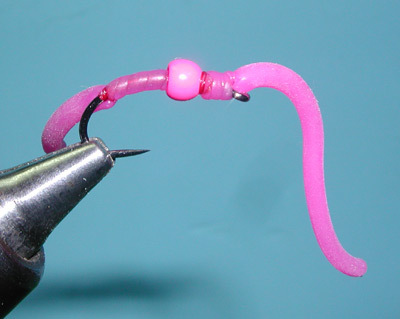 Some tiers prefer to use a dubbed thread or a chenille to secure the silicon tendril to the hook shank. 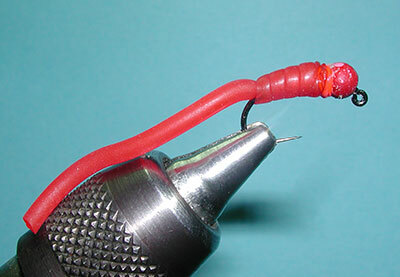 Heat and volatile Glues are also a problem with this material causing melting and breakdown.